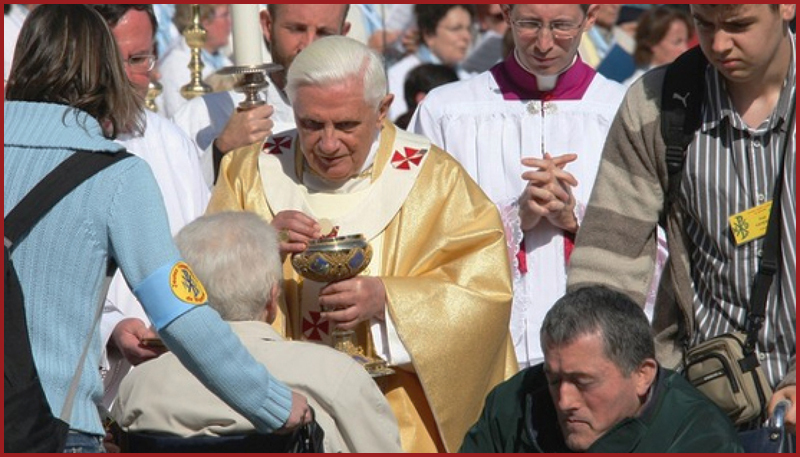 Dear Brothers and Sisters, The 14th World Day of the Sick will be celebrated on February 11, the liturgical Memorial of Our Lady of Lourdes. 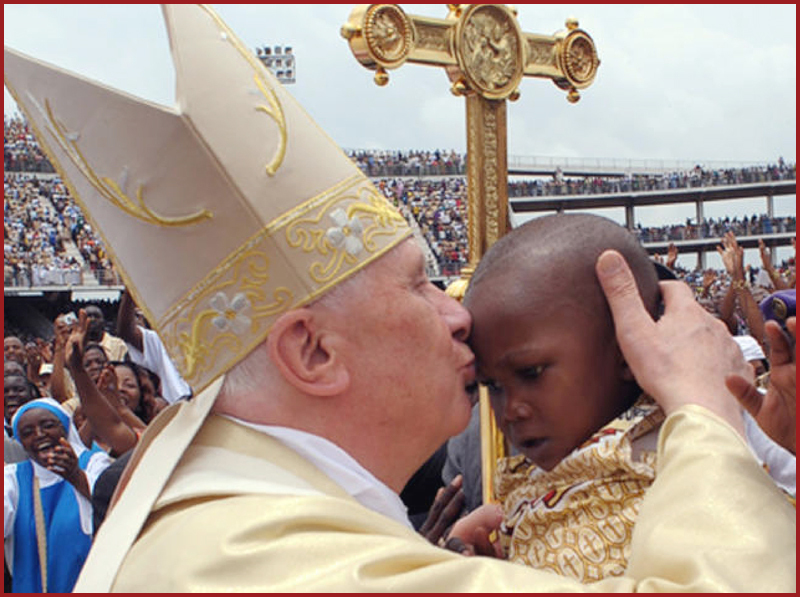 Last year the Day was celebrated at the Marian Shrine of Mvolyé, Yaoundé, and on that occasion the faithful and their Pastors, on behalf of the whole African Continent, reaffirmed their pastoral commitment to the sick. The next World Day of the Sick will be celebrated in Adelaide, Australia, and the events will culminate with a Eucharistic Celebration in the Cathedral dedicated to St Francis Xavier, an unflagging missionary to the peoples of the Orient. 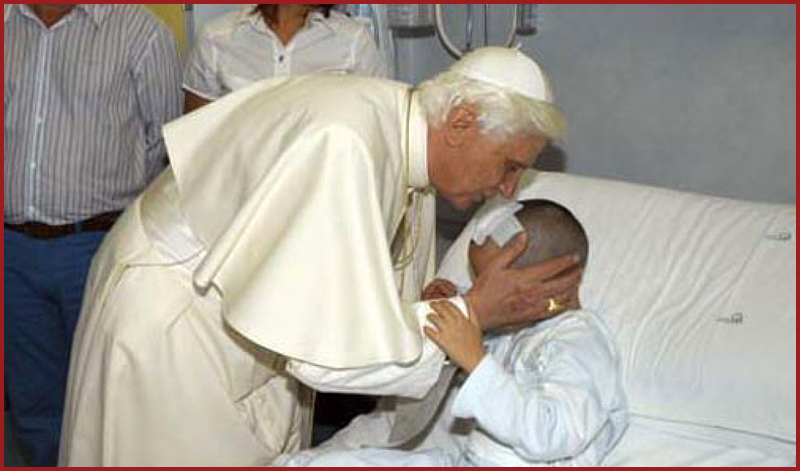 On this occasion, the Church intends to bow down over those who suffer with special concern, calling the attention of public opinion to the problems connected with mental disturbance that now afflicts one-fifth of humanity and is a real social-health care emergency. Recalling the attention that my venerable Predecessor John Paul II devoted to this annual event, I too, dear brothers and sisters, would like to be spiritually present on the World Day of the Sick, to pause in order to reflect, in harmony with those taking part, on the situation of the mentally ill in the world and to call for the commitment of Ecclesial Communities to bear witness to the tender mercy of God towards them. In many countries, legislation in this field does not yet exist and in others, there is no definite mental-health policy. It should then be noted that prolonged armed conflicts in various regions of the world, the succession of terrible natural catastrophes and the spread of terrorism, in addition to causing a shocking number of deaths, has triggered psychological traumas that are sometimes difficult to cure in many survivors. In the economically highly-developed countries, experts then recognize that at the origin of new forms of mental disease we may also find the negative impact of the crisis of moral values. This increases the feeling of loneliness, undermining and even breaking up traditional forms of social cohesion, starting with the family institution, and marginalizing the sick, particularly the mentally ill who are all too often considered as a burden on the family and community. Here I would like to praise those who in different ways and capacities work so that the spirit of solidarity is not lacking and that people persevere in taking care of these brothers and sisters of ours, finding inspiration in human and Gospel-based ideals and principles. I therefore encourage the efforts of those who strive to ensure that all mentally ill people are given access to necessary forms of care and treatment. Unfortunately, in many parts of the world, services for these sick people are lacking, inadequate or in a state of decay. The social context does not always accept the mentally ill with their limitations, and this is another reason difficulties are encountered in securing the human and financial resources that are needed. One perceives the need to better integrate the two approaches: appropriate therapy and new sensitivity towards disturbance, so as to enable workers in the sector to deal more effectively with these sick people and their families, who would be unable on their own to care adequately for their relatives in difficulty. The next World Day of the Sick is a suitable occasion to express solidarity to families who have mentally ill persons dependent upon them. I would now like to address you, dear brothers and sisters, tried by illness, to invite you to offer your condition of suffering, together with Christ, to the Father, certain that every trial accepted with resignation is meritorious and draws divine goodness upon the whole of humanity. I express appreciation to those who help and care for you in residential centres, day hospitals and wards providing diagnosis and treatment, and I exhort them to strive to ensure that medical, social and pastoral assistance for those in need is never lacking, respectful of the dignity proper to every human being. The Church, particularly through the work of her chaplains, will not fail to offer you her help, well aware that she is called to express Christ's love and concern for those who suffer and for those who look after them. I commend pastoral workers and voluntary associations and organizations to support in practical ways and through concrete initiatives, those families who have mentally ill people dependent upon them. I hope that the culture of acceptance and sharing will grow and spread to them, thanks also to suitable laws and health-care programs which provide sufficient resources for their practical application. The training and updating of personnel who work in such a delicate sector of society is more urgent than ever. Every Christian, according to his specific duty and responsibility, is called to make his contribution so that the dignity of these brothers and sisters may be recognized, respected and promoted. Duc in altum! This invitation of Christ to Peter and the Apostles I address to the Ecclesial Communities spread throughout the world and in a special way to those who are at the service of the sick, so that, with the help of Mary, Salus infirmorum, they will witness to God's goodness and fatherly concern. May the Holy Virgin comfort those who are afflicted by illness and support those who, like the Good Samaritan, soothe their physical and spiritual wounds. I assure each of you that you will be remembered in my prayer, as I willingly impart my Blessing upon you all. 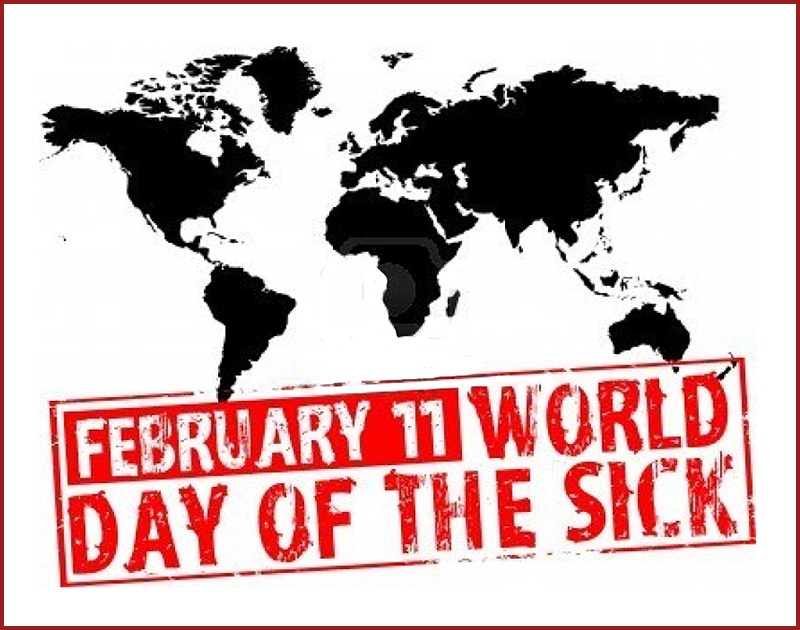 Each year, on February 11, the Church celebrates the "World Day of the Sick." On this day in particular, we focus on the redemptive value of human suffering and on the important role of those who are sick in the work of spreading the Gospel. The pull of the call to be a missionary is great. This British lay volunteer works with the Missionaries of Charity in India. He left a promising career in banking to dedicate himself to those most in need of a representative of Christ’s love and care. The Sisters have taught him how to bathe the ill and how to dress their wounds. More importantly, they have taught him how to be a presence to the most forgotten and lonely. 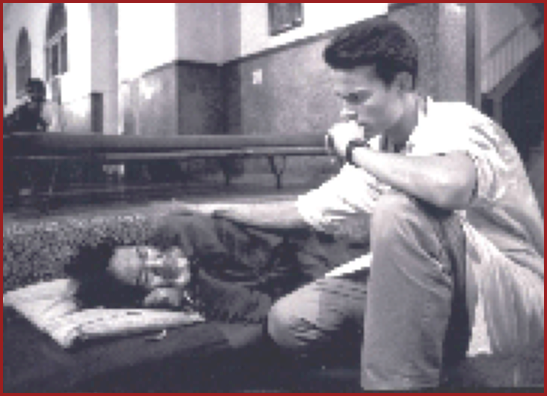 This young man and many other faith-filled lay missionaries stay with the dying to the very end. They pray with them and help them to die so that they may live in the fullness of life in the Lord.